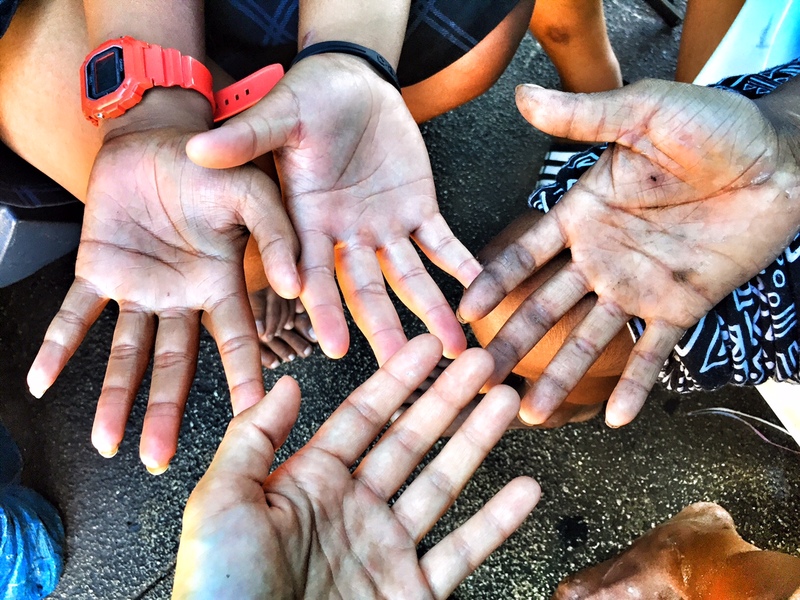 Hands of the youth in Kaka’ako. I wish I could do more for them. I’m still trying to figure out what/if I can do anything. In the couple of hours I was there, a woman had overdosed just three tents away from the family I was visiting. The woman’s boyfriend was holding their infant daughter in his arms, and came out of the tent asking for a cellphone to call the police. The fire department arrived within minutes and the paramedics arrived shortly after… It all happened so fast. I admire what you are doing. I am reading your older posts, they are well written with insight and warmth. Keep at this writing “thing” it takes time to catch on.